Express Delivery Services are something we specialize in. Whether it's Same-Day or Next-Day services you're looking for, we have the professional and capable drivers ready to meet your needs. 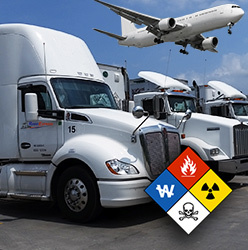 Our Drivers are TSA-Certified and Hazardous Materials Certified so...There's pretty much nothing we can't haul for you! All of our drivers undergo extensive background and drug screening tests to ensure that we can provide a level of service our customers demand. Below is a map depicting where our delivery services will be the most competitive. By no means are we limited to the shaded space. We deliver to Indiana, Illinois and Ohio all the time! Call 734-946-6318 or Email Us to request an estimate. Express Freight Services for the Metro-Detroit Area!